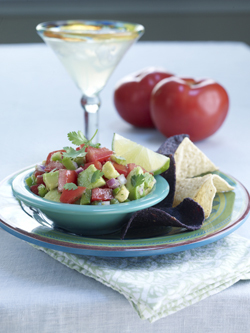 This salsa is flavorful, yet mild enough for the whole family. Best of all, it tastes great and you need only a couple minutes to whip it together. Serve at room temperature for best flavor! Notes: For hotter version, substitute 1 seeded fresh jalapeno pepper for the green pepper. Also, if you prefer, use toasted cumin seed instead of ground cumin.